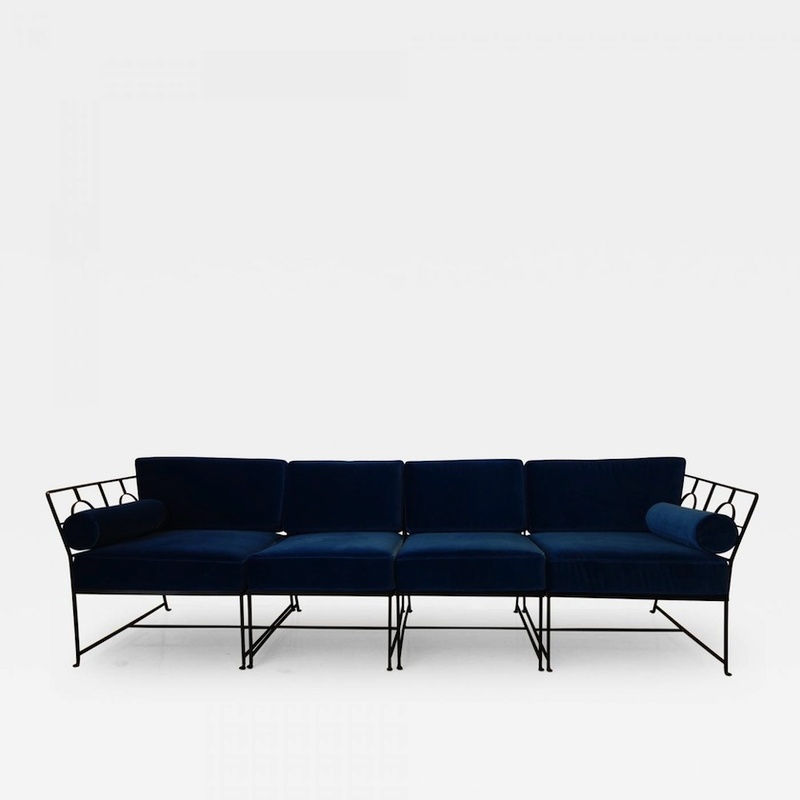 This four piece sectional can be arranged in all sorts of configurations. The geometric design of the repeated circles is beautiful with or without the cushions. Two round bolsters complete the clean look.